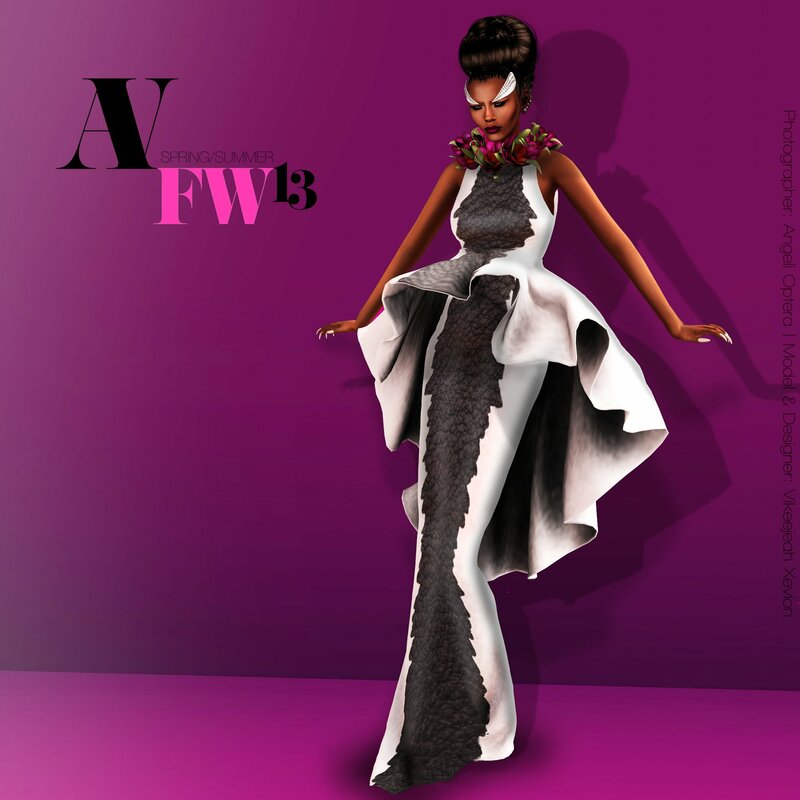 As AVENUE Spring Summer Fashion Week 2013 draws to a close, it does so with a major bang! Some of fashion week’s designers have taken the time to create one of a kind, limited edition, haute couture garments for an epic finale runway show. These pieces are available for sale right now at the retail gallery near the dance floor were the after party will take place. Here is just a sneak preview of what you can expect from designers Loovus Dzevavor, Ozi, Amarelo Manga, AZUL, and Pure Poison. This entry was posted in Styles by Vikeejeah and tagged Amarelo Manga, Avatar, AVENUE, AVENUE Spring Fashion Week, AZUL, clothing, fashion, fashion week, Loovus Dzevavor, Mesh Clothing, Ozi, Pure Poison, Secondlife, SL, Spring Collection, spring fashion, style, Vikeejeah Xevion, Virtual Fashion. Bookmark the permalink.